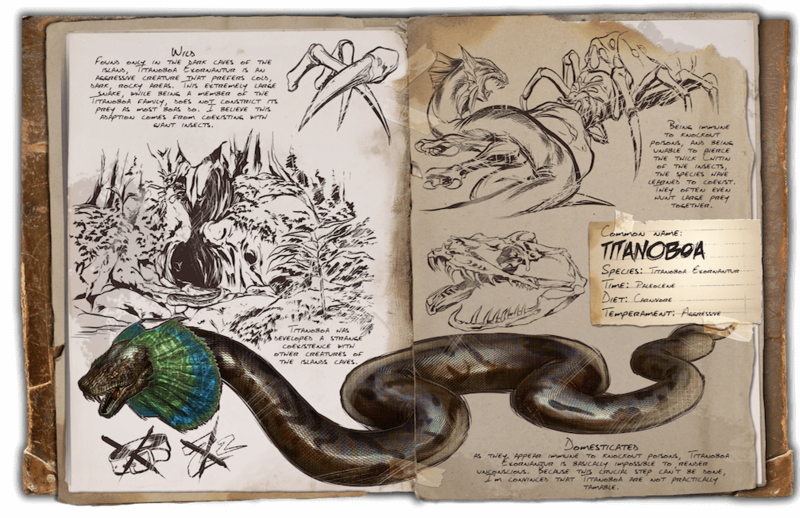 Wild: Found only in the dark caves of the island, Titanoboa exornantur is an aggressive creature that prefers cold dark rocky areas. This extremely large snake, while being a member of the Titanoboa family, does not constrict its prey as most boas do. This adaption may come from coexisting with giant insects. Domesticated: As they appear immune to knockout poisons, Titanoboa exornantur is basically impossible to render unconscious. Because this crucial step can’t be done, taming this can be a challenge!